Veteran activist Elaine Brown has hatched a plan that begins with a farm, and could bring about a renaissance in an underresourced neighborhood. Elaine Brown is no stranger to radical ideas. The 72-year-old former chairwoman of the Black Panther Party has long advocated on behalf of prisoners. 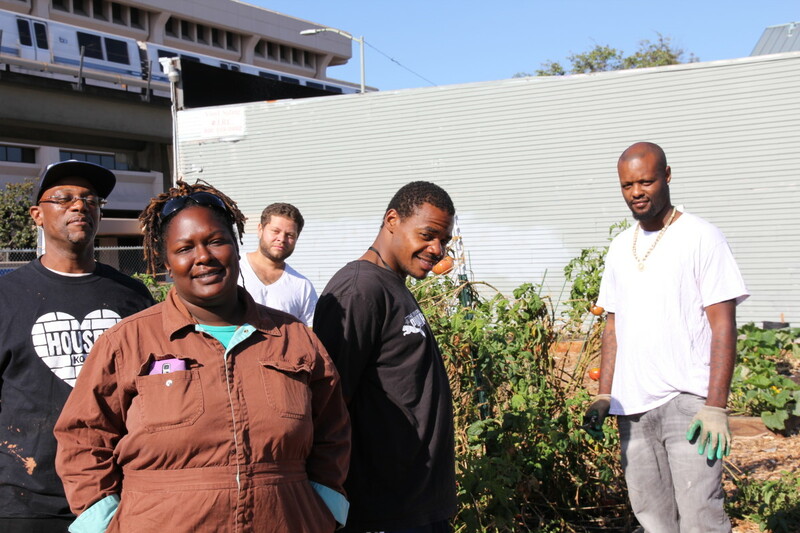 Now she is determined to transform a once-blighted vacant lot in West Oakland, California into a thriving urban farm business that employs former offenders. And the produce they cultivate is destined for a fine dining restaurant in a city fast gaining a reputation as an eating destination. Brown’s project, announced last October, is ambitious. 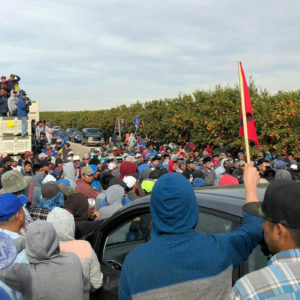 The first step has been establishing a for-profit West Oakland Farms, whose 40 raised beds are already overflowing with tomatoes, peppers, kale, squash, corn, and other produce. Down the road, Brown wants to add a juice bar, fitness center, grocery store, and tech design space, along with affordable housing on the city-owned property under the umbrella of the nonprofit organization she founded last year, Oakland & the World Enterprises. Think of it as part prisoner re-entry program, part small business startup incubator, and part community hub. Brown chaired the Black Panthers from 1974 to 1977 and, after more than a 30-year absence, moved back to Oakland in 2010. The project marks her return to activism in the city. Since 2013, Brown has been working closely with Alameda County Supervisor Keith Carson on youth and employment re-entry projects in West Oakland. Time may have passed but Brown’s message remains the same: self-sufficiency, self-determination, and empowerment for her people. Only these days, they’re armed with shovels, wheelbarrows, and other farm tools. The farm is a welcome addition to the neighborhood. Oakland & the World Enterprises leases the three-quarter acre plot from the city in a section of Oakland that has been slower to bounce back than other areas. The land is located directly across from the Bay Area Rapid Transit (BART) line, which connects Oakland to San Francisco and other parts of the Bay Area. As with much of the rest of this city, West Oakland is a neighborhood that many believe is rapidly gentrifying. Community farms, cafés, and restaurants are popping up, but the area still lacks a supermarket. Despite its recent bleak history, this neighborhood was once a vibrant African-American cultural center, where jazz and blues were a draw. But a series of freeways, a postal distribution center, and the train line cut through the neighborhood, sucking the soul out of it in the process. As with the ex-prisoners, Brown wants to help give West Oakland a second chance, too. But she knows she has a long way to go. While Brown has the vision, she still has to raise significant funding to make it a reality. She’s looking to nonprofit groups and private donors to invest in her idea. She estimates the entire project, including housing, will cost in the $30 to $40 million range. To date, she’s received only around $300,000 in grants and county funding. 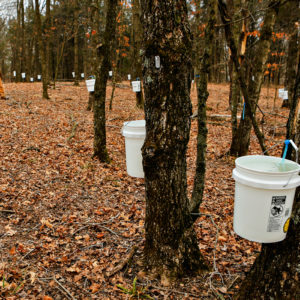 For now, the farm employs 10 former inmates on a part-time, rotating basis and pays them $20 an hour. It has also landed its first culinary client contract: Picán Restaurant, an upscale Southern-influenced restaurant in the city’s lively Uptown district, and one of the few Black-owned restaurants in the area. It was a privilege to come on board as a restaurant partner, says Picán owner Michael LeBlanc. In addition to buying from the farm, the restaurant is hosting fundraising and goodwill-building dinners for West Oakland Farms once a month through the end of the year. Brown, who concedes to knowing little about growing or cooking food, has enlisted Master Gardener Kelly Carlisle to oversee the effort. An ex-Navy officer and longtime East Oakland resident, Carlisle also runs the nonprofit Acta Non Verba: Youth Urban Farm Project. In a matter of months, the team has built an obvious rapport. GaQuayla LaGrone, 32, began working at the farm in April. She had never farmed before and it took her a few weeks to get over her squeamishness around insects. LaGrone hopes to eventually start her own business making natural hair care products for African Americans. “I might even be able to use herbs or flowers from the farm in the products,” she says. “Every day I come here I learn something new. I didn’t know that a lot of fruits start life as a flower; that just blew my mind,” says Ray Kidd, 26. He was incarcerated from age 16 to 23 for violent crimes, and wants to break free of the prison cycle: Both his biological parents are in federal prison. 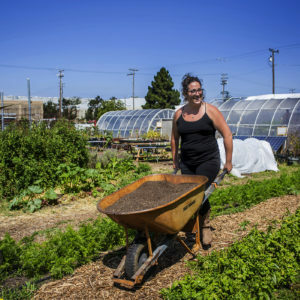 West Oakland Farms is not the only local program that hires ex-inmates. Planting Justice, which builds community produce gardens, also hires former prisoners. But given the crushing numbers of people exiting prison without work opportunities, there’s room for many more such undertakings. Photos, from top: Kelly Carlisle (second from left), poses with a group of current farm employees. Chard in the West Oakland sun. Both photos by Twilight Greenaway. I would like to help in the future, possible fundraiser. Where is this? How can I volunteer? I grew up on a farm. I am a dietitian and if it helpful for clients know where their food comes from. Farming is a way to do this. I did have a question the soil testing.did you have top soil brought in? Amd how did you test the ground for chemicals? How do you keep dogs amd cats out! I would be interested in interviewing you for my radio show as well as helping you to fund raise and possibly invest in your company. This is a similar model Ive been working on so each one, reach one. Lets get it!!! Hi. Do you hire women as well? My life is in a fairly bad way. WHAT A BEAUTIFUL THING TO DO. I WISH YOU ALL THE BEST.